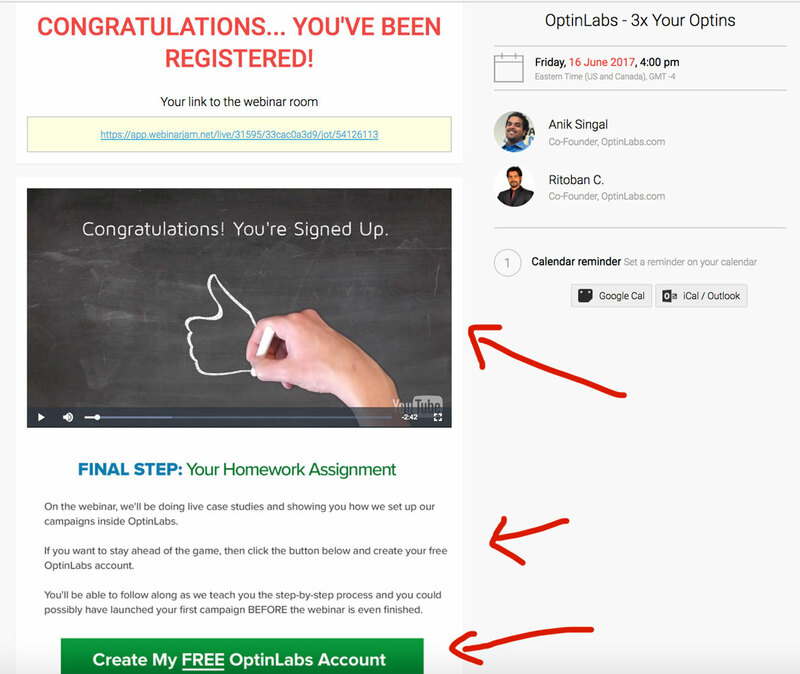 So you want to start an auto webinar funnel? Looking for the FASTEST way to go from zero to launch? But you probably want a more detailed explanation? Make sure you have your hook, copy, product/service, and the actual webinar ready. The copywriting on your funnel pages definitely matter. And so do the autoresponder emails. To learn how to write better copy, I highly recommend Copywriting Academy. If you want some advanced techniques to UP your email marketing, I recommend Inbox Blueprint 2.0. Both of these are amazing training courses by Anik Singal. But if you REALLY know your stuff – the entire process can be completed in a couple of days. Once you’ve set up your entire auto webinar funnel – it pretty much runs like a MACHINE. That ‘MACHINE’ bit got you motivated, eh? This isn’t a ClickFunnels page builder tutorial. 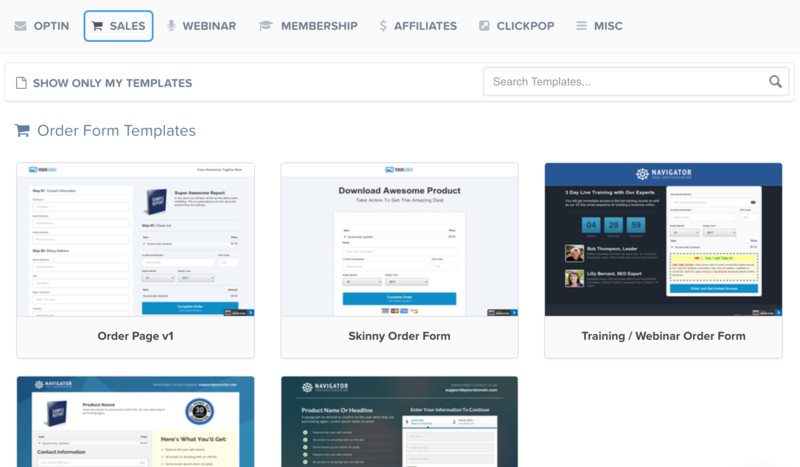 ClickFunnels has a bunch of amazing opt-in templates and some even webinar registration page templates. Feel free to play around with them and customize the one you like the best AND that fits your marketing message. The IMPORTANT thing to remember here is to embed the EVERWEBINAR BUTTON on this page. So you’ll be disabling the ClickFunnels opt-in process/popup from the page and replacing the button with the one EverWebinar gives you. I’m a design freak and it makes NO SENSE to use the standard EverWebinar ‘Blue Button‘ on your web-reg page. It’s not a strong CTA. Simply replace that with your own EverWebinar campaign ‘regpopbox’ id. Towards the end of the code, you’ll also notice: ‘aaaaaaaaaa’ and ‘bbbbbbbbbb’. You need to replace these with your respective values from the standard EverWebinar embed code. Change the “background-color” RGB values to change the color of the button. Also, you can pretty much change the colors and text of the button as you wish. Your web-reg TY page and actual webinar pages will be hosted by EverWebinar. Hooray! So the order page (if you don’t have one already) needs to be on a memorable URL. You can map out specific URL’s to specific pages inside ClickFunnels. There are a lot of order form templates in CF – feel free to choose anyone you fancy. This can be a simple TY page with a download/access button. Just make sure your EverWebinar sales tracking PIXEL is installed on this page. This is basically the product download/access area. Do you REALLY need me to explain this? You got it. I believe in you. I won’t go into the details of how to setup your EverWebinar campaign in here. Because I’ve already done that in my EverWebinar review (Shameless plug). All your webinar notification emails will be sent via EverWebinar as well. EW makes it super easy for you to host a custom WebReg TY page. Make sure you’re getting the newly registered prospect to take some action on that page. Add a video, some text, and a button. Video – Thank ’em for registering for the webbie. And explain their next steps BEFORE the webinar. Some text – Thank ’em and briefly explain the next steps. Button – Call to action to the next steps. These are completely hands-off. Although the webinar is not ACTUALLY LIVE. For real LIVE webinars, you probably want WebinarJam. Chat lines. Once you have a couple thousand, let it roll. Hmmm. 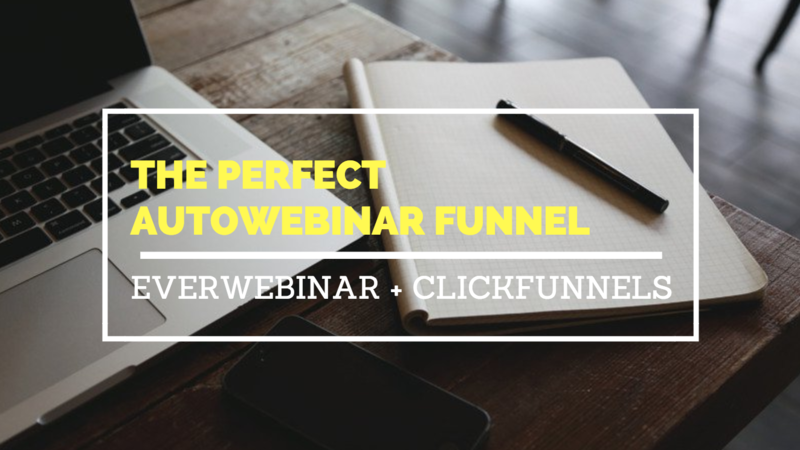 ClickFunnels has a complete auto webinar system built-in already. Why am I using EverWebinar? That’s what we thought when we first launched the AutoWebinar funnel for our SaaS product. Optimized all the pages. Every single page, notification emails, webinar delivery – was set up on ClickFunnels. Then we started FB ads. Super-Targeted audience. Ads were working. People were getting interested. The first day, no sales. Then next few days – ZERO sales. We were sad that it wasn’t converting well. But happy that at least it was converting. Then we made the SWITCH to the EverWebinar + ClickFunnels combo like I’ve described in this post. We pulled off a 180 from a negative ROI FB ad campaign to 300% ROI overnight. It LITERALLY was overnight – because I set it up at night and sales had come in by morning. You can possibly get the same results WITHOUT using ClickFunnels entirely. Just use a different landing page software (or have pages hand-designed?) with EverWebinar for your AutoWebinar delivery. I just love using the CF + EW combo – simply because you’ll be using webinars for mid-high ticket anyways. The costs won’t pinch as much. Now if you’re planning on selling Tripwires using your webinar – just… just STOP planning! Are you using EverWebinar with some other landing page software? Or are you using the CF + EW combo like I’ve described above? « EverWebinar Review, Demo & Bonus by Ritoban C.
Hey Joe, thanks for your feedback. I’ll look into this and post an update soon. Hey, any update on this? I have the new EW and this isn’t working. It def has something to do with replacing the app.webinarjam part with the everwebinar.gendhi.com but I’m not really sure. Hey Chris, I’ve updated the post with the new EverWebinar button code. Yeah, the button code it’s not working so I right click/inspect the everwebinar registration button and copy the CSS of the actually button into the CSS editor in ClickFunnels and change the color and font size there. very helpful post. But i need it for the new everwebinar. Do you have a update already? Hi Ritoban — Great post! I’m *hoping* that you might be able to assist with a very similar issue. I’m using WebinarJam (not EverWebinar). The Registration Button code you provided is so very close to the WebinarJam code — but not quite the same. In other words, I can’t get the HTML to work for a scheduled WebinarJam webinar. I’ve tried simply removing the “.evergreen” and “-evergreen” coding, but that doesn’t seem to work. Any other thoughts? Many thanks! Do you know of anyway of getting Everwebinar contacts that register BACK into CF Actionetics for follow up? Could probably be done using webhooks. Contact a programmer or CF team? Great article! I am in the midst of optimizing my auto-webinar and just testing traffic in week 1. 1) You mentioned you made the switch from using 100% CF to Everwebinar hosting everything…is this because EW has superior stats? What about EW made it that you increased your sales? 2) Along the same thinking as the last question, did you change anything about the offer when you initially make the switch? Right now, my webinar is set-up in EW and my pages in CF and my autoresponder is Activecampaign (webhook to deadline funnel) I was thinking of moving EVERYTHING over to Actionetics…but curious to see why or why not? Any thoughts or suggestions would be greatly appreciated? I have the exact same setup as you do. Page in CF. Webinar in EW and Active Campaign autoresponder. Great video! I did learn so much. I am using Webinar Jam and was able to get this to work on my CF page but when I use the CF via WordPress it does not open the actual button. Besides that it was straight forward. I did have to modify your code slightly to work with Webinar Jam vs EverWebinar. Hey Ritoban, thanks for the info, im having trouble with doing this, i follow step by step with the new script you gave and work like for 10 mins and then nothing happend u know why?? and also how can i edit the size of the text. Did you try out the new code that was updated? Its working for me. (a) how well the registration you have is performing for conversions? (b) If you wanted to split test the registration page how can you track conversions? EverWebinar shows you stats on how many people clicked the button and how many registered. You have stats of how many people visited the page inside ClickFunnels. You can use the standard CF Split testing.